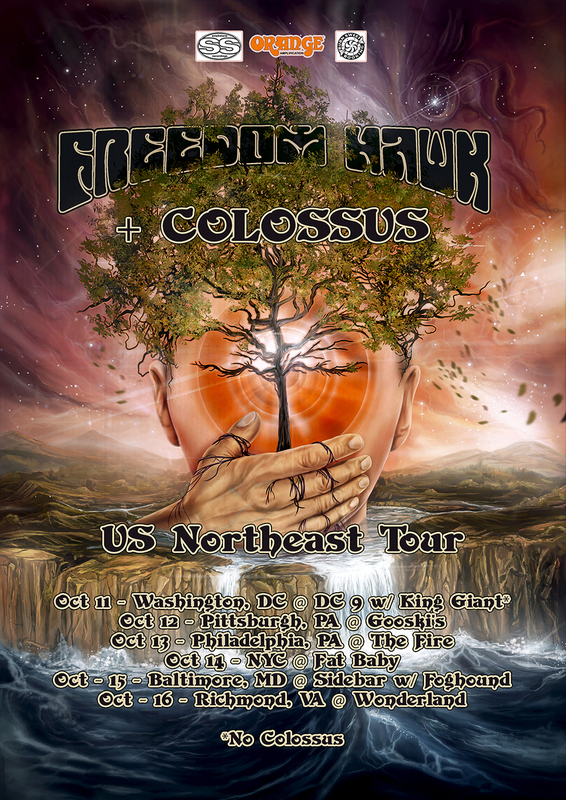 FREEDOM HAWK – INTO YOUR MIND – US NORTHEAST TOUR!! After being quiet for a while after last years European tour, we have now worked in a new guitarist (Brendan O’neil from the thrash band Pestilence Choir) to round us out as a 4 piece once again and have been busy writing new material. We have decided to take a pause from writing to get out on the road to do a very short tour run around the Northeast accompanied by our metal maniac mates in Colossus (Raleigh, NC). We have relatively exciting news (at least to us that is) to announce in the near future…let’s just say 2017 is looking bright.